Alan has been working hard to make this house a home. 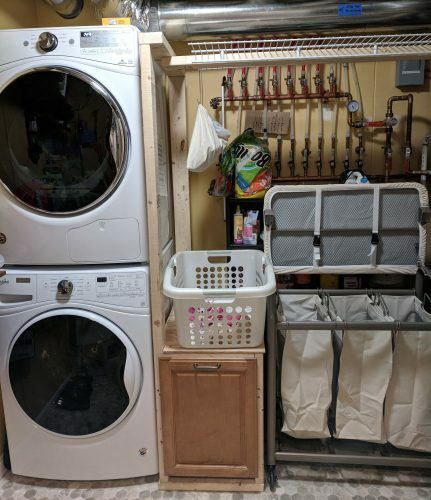 His project this week was the laundry room. I drew a little sketch a few weeks ago to share my ideas, and he went to work with it. He stacked the washer and dryer, bought a 3-bin laundry cart, and built a frame to make use of the extra cabinet bin drawer we had. I love it! 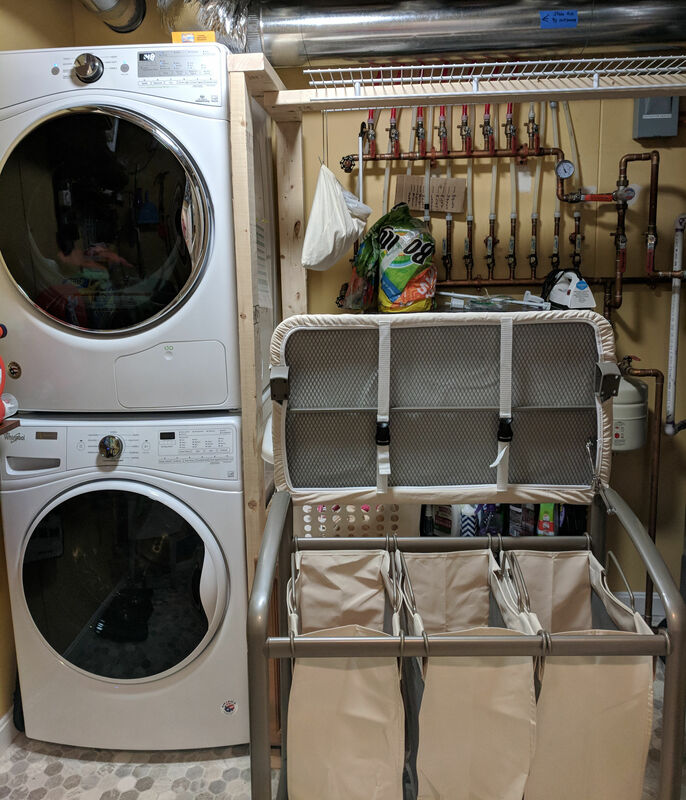 It’s hard to take a nice photo of a laundry room! It’s awesome, but maybe not Pinterest-worthy, yet! The bins will have to be in the middle of the room for awhile so they can catch laundry from the ceiling chute. That will be a project for another week. This entry was posted in Uncategorized and tagged The NEW house by Tessa. Bookmark the permalink.